The Mercedes-Benz G-Class is an icon of decades and is all set to move into the next generation later this month in Detroit. 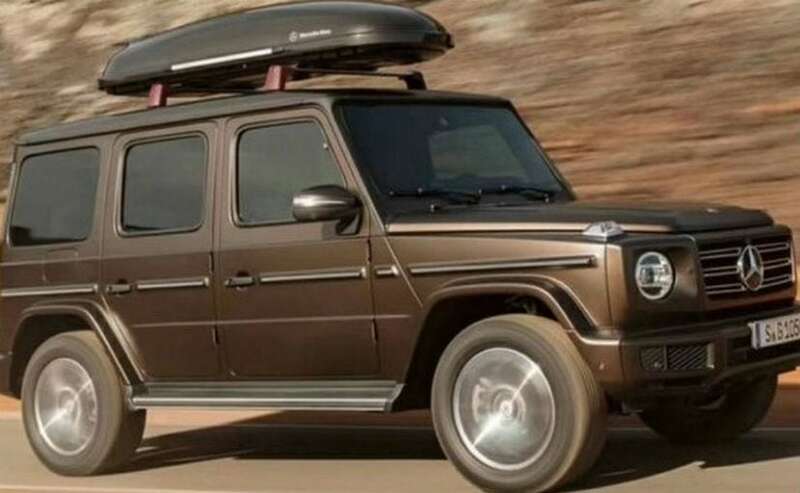 Ahead of the official debut slated on January 15 at the 2018 North American International Auto Show; images of the new generation Mercedes-Benz G-Class have made their way online revealing the exterior design completely. The 2018 Mercedes-Benz G-Class gets an evolutionary styling approach retaining the iconic boxy design from the original 1979 model albeit with a modern touch. Those in awe of the design on the G,-Class will be pleased by the new design but there are plenty of changes on the model. At the outset, the headlamps are larger than the ones on the outgoing version and are completely LED units. 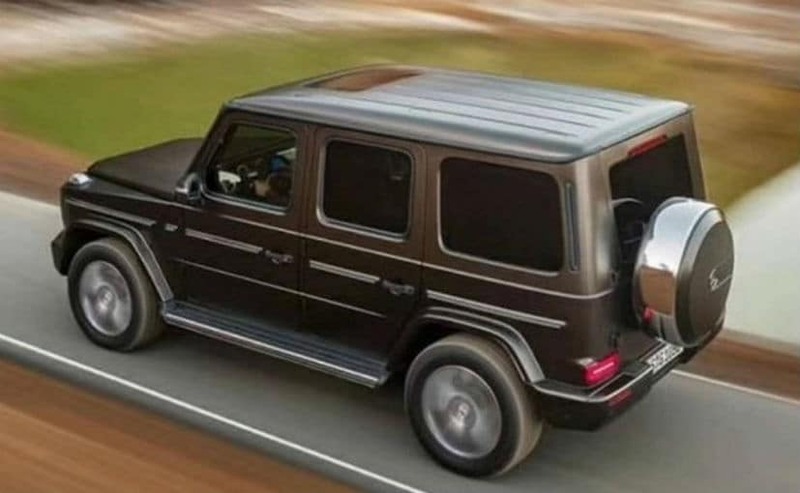 The edgy lines has been made for more smoother surfaces on the new G-Wagen, while the front fenders miss out on the vents. The SUV also sits wider than the previous generation version and has a taken a cut in its height as well. This should help in offering better stability and less body roll on the SUV. The ground clearance too has been increased by nearly 6 mm, up to a total of 241 mm. Under the new body too, a completely new ladder-on-frame chassis underpins the 2018 Mercedes-Benz G-Class. The SUV now comes with a modern independent front suspension, whole steel and aluminium has been used in its construction to keep the overall weight low. Inside, the new G-Class gets a complete revamp with more luxurious interiors, touchscreen systems and leather wrapped components with a rugged touch. 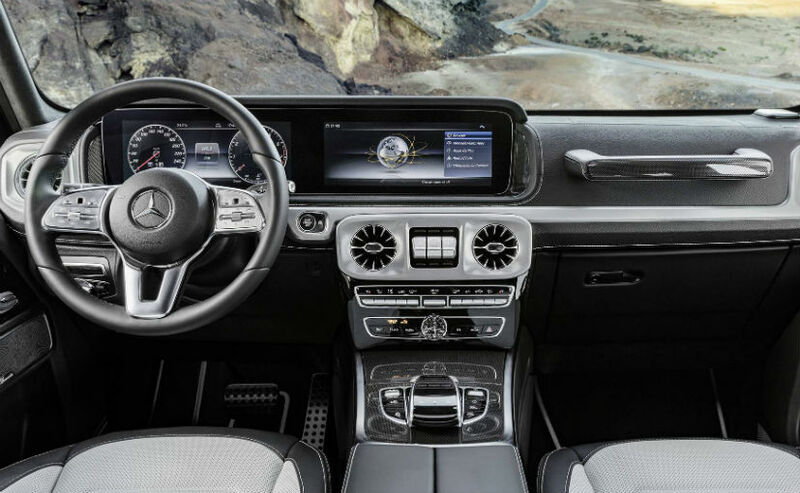 A lot of the goodies come from the new S-Class and E-Class and while Mercedes has got the tech wizardry in place, certain elements like the dash-mounted grab handle pay homage to the original G-Wagen. The air-vent position also comes from the first model. Under the hood, the new G-Class will be available in a number of engines. The base G650 version will get the 4.0-litre turbocharged V8 AMG engine with 415 bhp and 610 Nm of peak torque. The famous G63 AMG variant will get the same 4.0-litre V8 albeit with power uprated to 603 bhp and 700 Nm. This will also be the version that India will get as a Completely Built Unit (CBU). A 9-speed automatic transmission will be standard across the range. In addition, the SUV will come with a live rear axle, permanent All-Wheel Drive system and three differential locks. 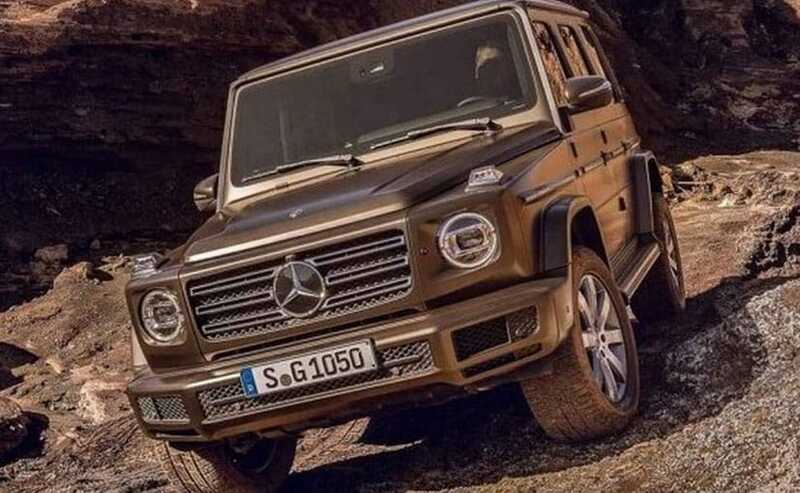 Mercedes-AMG is said to be dropping the G65 V12 version on the G-Wagen with this generation and the variant is expected to make way for a new hybrid Instead. More details on the Mercedes-Benz G-Class will be available later this month from Detroit. So make sure you keep watching this space for all the information from the Mercedes pavilion and everything else.